Each course covers a free standing, upright. tall design of a particular shape and a complementary table arrangement. 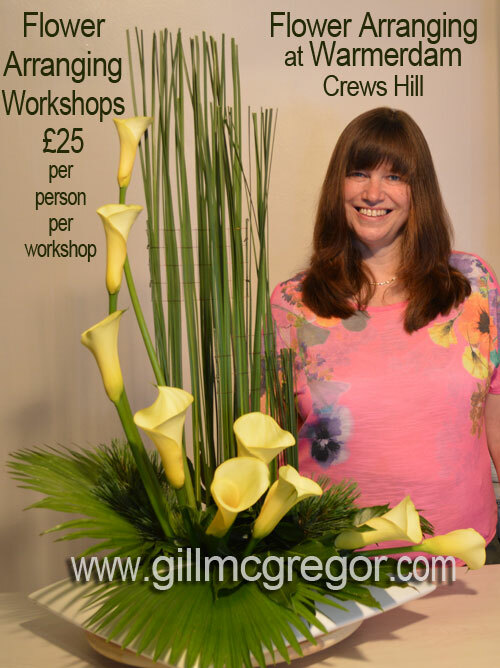 During each Contemporary Flower Arranging Workshop you will make a free standing, upright Contemporary design and a complementary Table design. Each design is demonstrated to explain correct arranging methods, how to create the contemporary techniques used and the application of the Elements and Principles of design. You will receive a list of materials for you to bring with you and you will need to pay an additional £5 on the day for materials that are neccesary but not so easy to obtain.